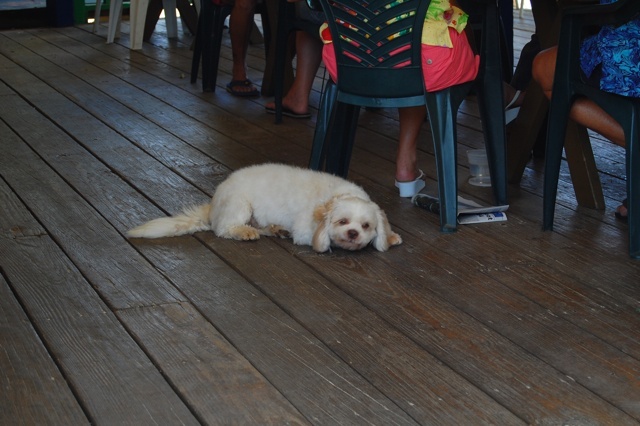 Just across the street from Cane Bay is Full Moon Beach Bar (or Cane Bay Beach Bar depending on who you talk to). 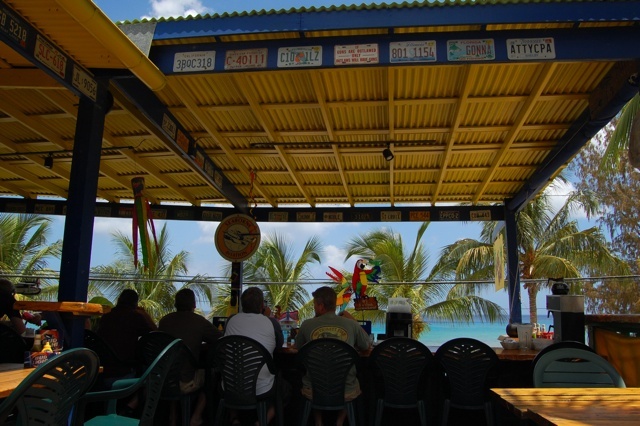 This is the quintessential bar Jimmy Buffet would be proud to frequent. 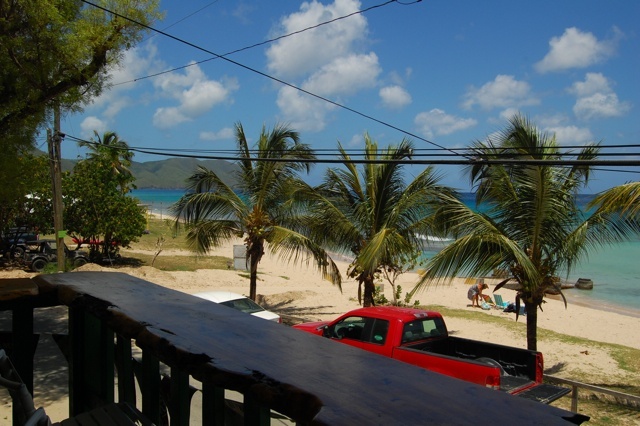 The views are of the beautiful beach, ocean and the North shore mountains of St. Croix. Grab a seat and relax, you might be staying a while! Today we took the family for Sunday brunch and listened to live guitar. To make it official we ordered some tasty Bloody Mary’s. 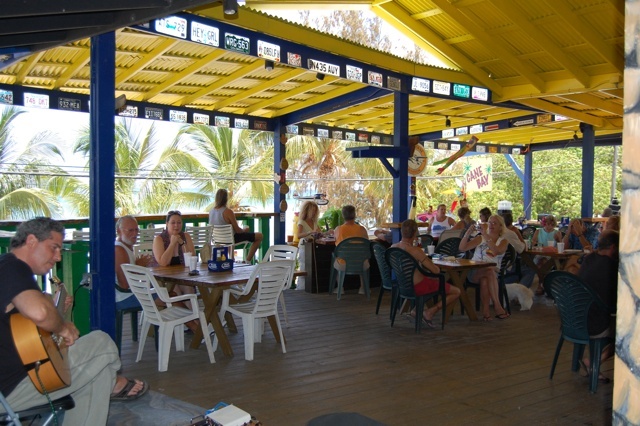 The bar has live music frequently with acoustic, reggae and other eclectic sounds. Other days of the week are lunch, brunch and dinner specials including a great all-you-can-eat shrimp special (which I think is every Friday). You’ll find a couple dozen seats up at the bar plus another dozen tables for conventional seating. 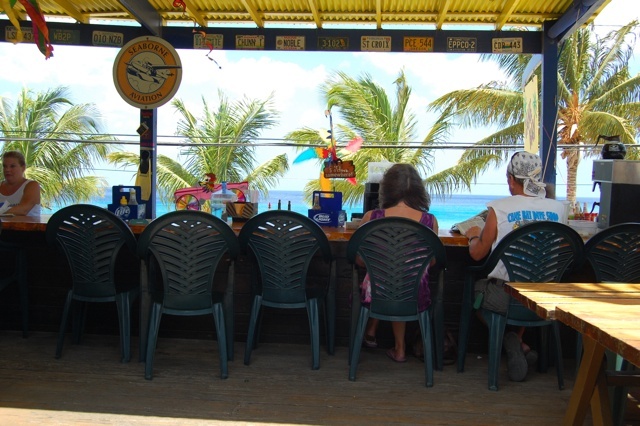 Choose a seat at the bar if you want to overlook the Cane Bay beach action. 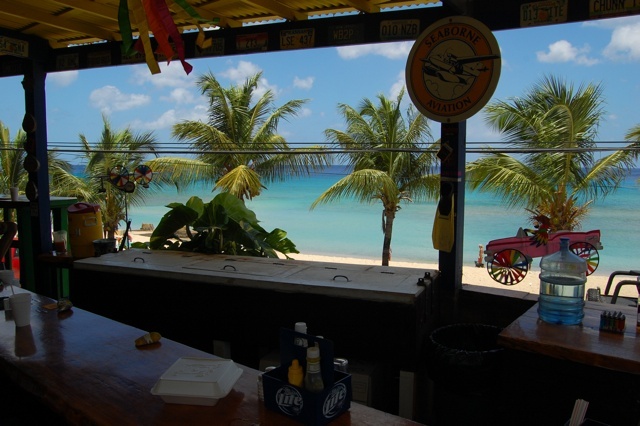 The open air decor is typical beach bar… wooden deck floor, plastic chairs, funky murals and license plates from all over the world. 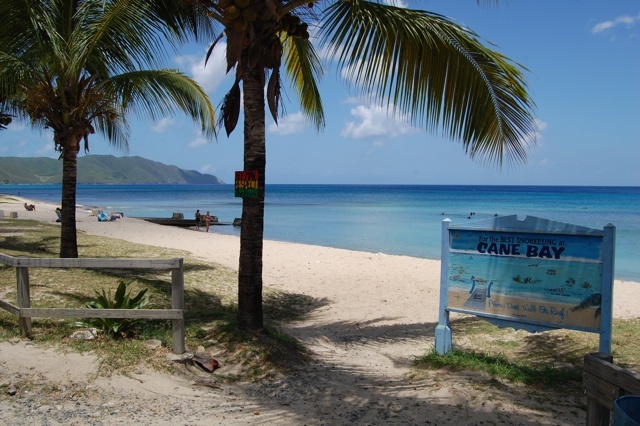 Behind Full Moon Beach Bar is the Cane Bay Dive Shop, where you can take Scuba lessons, rent Scuba equipment or buy island style items like t-shirts, sandals, sun screen and more. 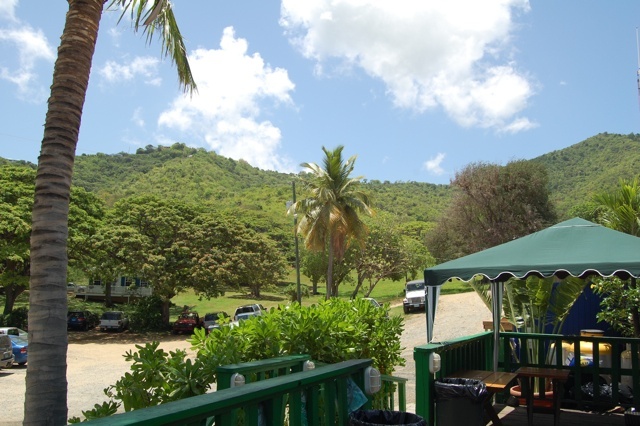 Then behind the dive shop is the Virgin Kayak Company for kayak rentals and tours. To the left are cute little St. Croix rental cottages.